I love a good thriller/suspense book. I used to be addicted to basically all of Harlan Coben's books, I devoured The Girl with the Dragon tattoo series, and I'll pick up a John Grishim novel every now and then. I like a book that keeps me turning the page with all those cliffhangers at the end of the chapter. I read all of Dan Brown's previous books and definitely enjoyed them even though they can be predictable. C was saving this book for the honeymoon so I bought the Nook version and let him read it on his iPad first. This is your typical Robert Langdon thriller. 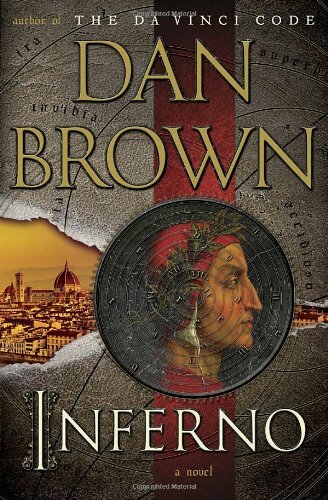 It's based around Dante's Inferno It's slightly predictable with a big twist at the end. It keeps you turning the page for sure. Sometimes I get bogged down with all of Brown's historical references and descriptions. There were definitely parts of this book that I somewhat skimmed through because the information wasn't critical to the scene. Overall, it's a good read and worth picking up. I'm sure this one will be made into a movie (it has a great "movie script") and I'll probably end up seeing it. Brian just read this and loved it! We are (trying to)plan a trip to Europe and he is most interested in Istanbul thanks to this book. Glad you enjoyed it!